Свои отзывы о i-forex.biz можете оставлять в комментариях под темой. 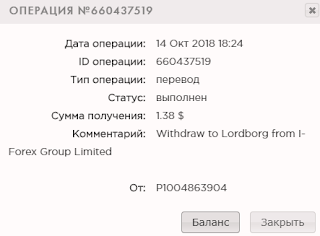 I-Forex Group Limited	+3.5	Received Payment 3.5 USD from account U18909766. Memo: API Payment. 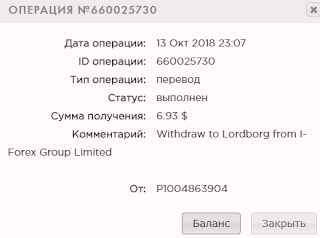 Withdraw to FairMonitor from I-Forex Group Limited. 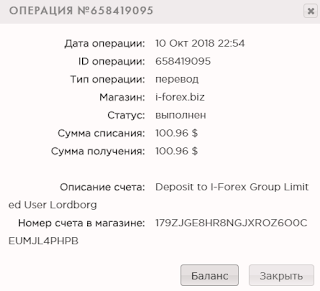 I-Forex Group Limited	+21.00	Received Payment 21.00 USD from account U18909766. Memo: API Payment. Withdraw to FairMonitor from I-Forex Group Limited.